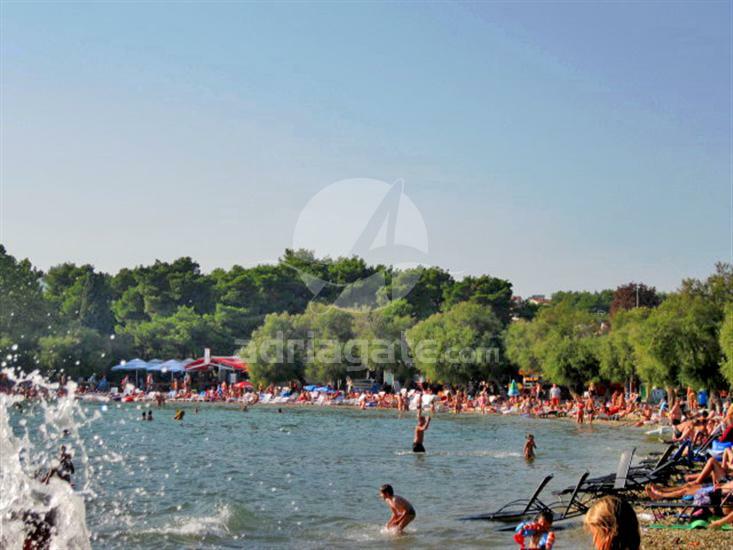 Blue beach (Plava plaža) is located in one of the most attractive tourist destinations on the Adriatic – Vodice. It was awarded a Blue Flag which is a symbol of quality service and clean sea. 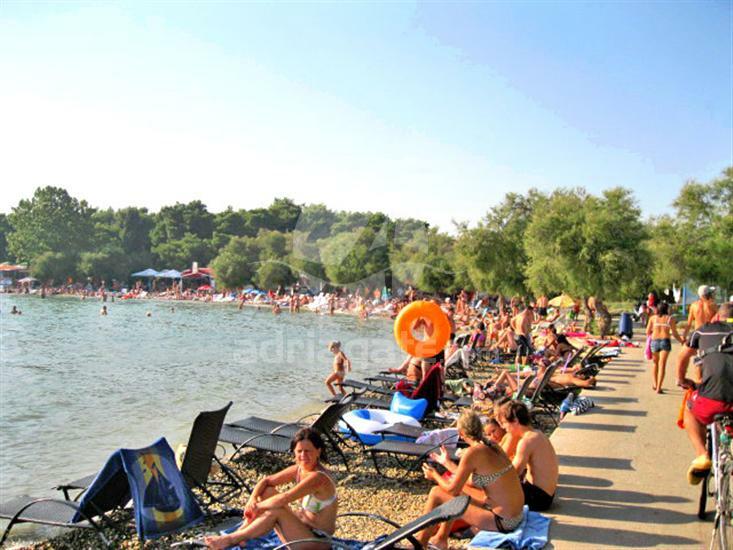 The beach is 4km long and streches from the Punta hotel all the way to Tribunj. You can enjoy lots of activities on the Blue beach. Diving and sailing schools are organized during summer. You can enjoy countless sports activities such as volleyball, parasailing, sailing, banana ride, jet-ski, tennis and many others. 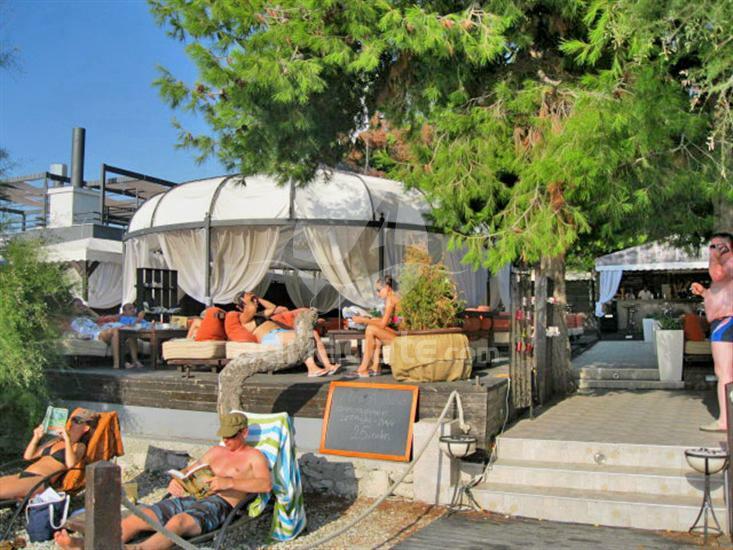 The beach offers you the possibility of renting deck-chairs and umbrellas, as well. The beach is ideal for families with children because of the shallow sea the temperature of which rises high during the day. The fun does not end when the sun goes down, the famous Hookah bar offers entertainment for the young which lasts until the early hours of the morning.